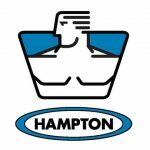 We offer Hampton Fitness equipment for sale at 20% off retail prices. Enter code Hampton20 at checkout. All items have a 5 year manufacturer’s warranty!